First round of projects includes four TV series relocating to California from other states. The California Film Commision has announced the first projects approved for the newly expanded Film and Television Tax Credit program. Read a complete press release HERE. The program was expanded in 2014 to retain and attract the jobs associated with entertainment content production here in California. The industry has significant importance for LA County, as detailed in LAEDC’s jobs report analysis below. The Film and Television Tax Credit was the subject of LAEDC study commissioned by SCAG prior to the California State Legislature renewing and extending the tax credit in 2014. The LAEDC is a trusted source for policy analysis to give decision makers better information and options to consider as they enact legislation designed to grow our economy and jobs. Read the LAEDC/SCAG study HERE. Film & Television is one of the key “export-oriented” industries that acts as an economic engine for LA County and its jobs include a significant percentage of good-paying, skilled jobs that support families in our region. The industry is considered “export-oriented” because the market for its products is international, bringing wealth back into LA County, increasing prosperity for the region. The following analysis of the jobs associated with the LA County Film & Television industry is provided by LAEDC’s Kyser Center, based on data from the California EDD. Watch for more LAEDC analysis of the broader industry cluster in the future. NOTE: Employment is not seasonally adjusted (NSA) unless otherwise indicated. The Motion Picture and Sound Recording sector as well as Radio, Television, and Cable are parts of the major industry, Information. Information industry employment in Los Angeles County rose by 7,000 jobs year-to-year to 201,900 workers. With a 3.6% year-to-year increase, the information industry outpaced the 2.6% job increase across all industries (nonfarm jobs) in the county. This was driven in part by the Motion Picture & Sound Recording sector, which gained 3,700 jobs (+3.1%), with April employment coming in at 123,400, up from 119,700 a year earlier. In monthly terms, motion picture and sound recording employment fell 1.0% (1,200 jobs) from the March figure of 124,600, a smaller decrease than is typical for this time of year. Employment in this industry follows a seasonal pattern, with a sharp drop in January followed by a rebound in February and March, with April typically showing a modest decrease (April month-to-month average 2000-2014: -3.4%). Nationally, there were 390,700 jobs (not seasonally adjusted) in the motion picture and sound recording sector in April, up from 383,200 (2.0%) in March and up from 378,500 (3.2%) a year ago. Motion Picture and Sound Recording jobs in LA County accounted for 32% of the nation’s jobs in this industry, about the same as in recent years. 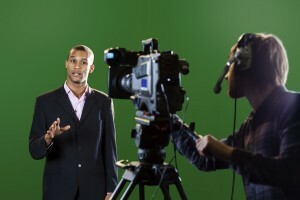 The Broadcasting industry gained 700 jobs (+3.5%). For California, Motion Picture and Sound Recording employment stood at 153,700 NSA in April, up 4,300 jobs from 149,400 last month and 7.9% above the April 2014 figure of 142,500 jobs. Employment for related industry sectors was also contained in the report. As indicated in the accompanying table, Los Angeles County employment in Radio and Television Broadcasting rose slightly over the year, while Cable and Other Subscription Programming employment was unchanged from the prior month and fell compared to a year ago.